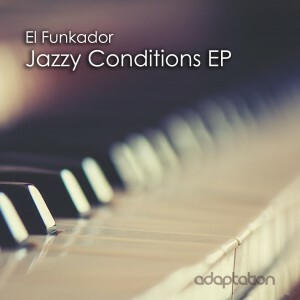 Rotterdam based producer El Funkador has been releasing consistent jackin house for over 5 years now and was recently was signed to DJ Sneak’s Magnetic Recordings imprint. A combination of tight retro garage beats, deep funky basslines and heavy jazz and funk influences have become his trademark sound and made his tracks a popular choice for numerous DJs within the jackin house scene. The EP opens with the superb and infectious ‘What You Want’ with its lush vocals, beautiful classy jazz keys and hook that you wish didn’t have to end! this track is most suited for the early part of the night/DJ set and ideal for any beach/pool party scenario. Next up on the EP is ‘Can’t Hold Me Down’ which also has a catchy jazzy hook but takes on a different vibe with its deeper late night vibes, yet is certainly equal in quality.